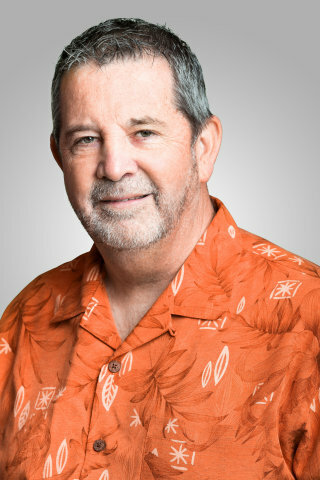 Shopping center management veteran Michael Fenley has been named general manager of the new International Market Place currently under construction on Kalakaua Avenue in the heart of Waikiki. In this role, Fenley is responsible for operations, retailer and community relations and marketing for the center. A long-time Taubman executive, Fenley brings more than 30 years of experience to his new position. Most recently, he served as general manager of Sunvalley in the San Francisco Bay Area where he oversaw the multimillion-dollar renovation and remerchandising of the center. Prior to that, he served as general manager for six Taubman-owned super-regional shopping centers in Connecticut, Michigan, Nevada and California. "The revitalized International Market Place will be a shopping, dining and entertainment center that perfectly complements the Waikiki retail landscape," said Fenley. "It has a fantastic location with a rich legacy, and I'm looking forward to its re-birth as a premiere destination for residents and visitors from around the world." Developed by Taubman and CoastWood in conjunction with Queen Emma Land Company, International Market Place will open on August 25, 2016, and will feature approximately 75 retailers and the island's first Saks Fifth Avenue. International Market Place will convey a unique Hawaiian experience by celebrating through its architecture the history and culture of Waikiki and its people. This commemoration includes water features, lush landscaping and the iconic banyan tree that is more than a century old and is well known in the area. A grand lanai will offer several distinctive outdoor dining venues. As one of the most valuable land assets of Queen Emma Land Company, International Market Place will directly support The Queen's Medical Center, the state's largest private, nonprofit hospital and its mission of providing quality healthcare to all of Hawaii's people. For updates on the progress of International Market Place, visit www.shopinternationalmarketplace.com. CoastWood Capital Group, LLC is a specialized real estate investment firm based in San Francisco. Founded by Cordell Lietz in 2003, the company acquires, manages and develops real estate in the United States with an emphasis on retail and other property types with unique operational characteristics. CoastWood has been actively investing in Hawaii for over a decade and holds interests in several properties throughout Hawaii including Waikiki Trade Center, Kings' Shops and Queens' Marketplace. Queen Emma Land Company is a local nonprofit organization established to support and advance health care in Hawaii, primarily through The Queen's Medical Center and its affiliates. QEL accomplishes this by managing and enhancing the income-generating potential of the lands left to The Queen's Hospital by Queen Emma in 1885, and additional properties owned by The Queen's Health Systems. The Queen's Medical Center is a 501 (c) (3) non-profit corporation, acute care medical facility accredited by The Joint Commission. The facility houses 505 acute beds and 28 sub-acute beds and is widely known for its programs in cancer, cardiovascular disease, neuroscience, orthopaedics, surgery, emergency medicine and trauma, organ transplants and behavioral medicine. Queen's is home to a number of residency programs offered in conjunction with the John A. Burns School of Medicine at the University of Hawaii. Queen's has achieved Magnet® status - the highest institutional honor for hospital excellence - from the American Nurses Credentialing Center. Magnet recognition is held by six percent of hospitals in the United States. Queen's is the first hospital in Hawaii to achieve Magnet status.